Columbia Sailing headed up to Geneva, NY for the Grant Trophy this weekend. Missing out on the beautiful NYC weather, temperature in Geneva was in the 30s with steady, but shifty breeze coming from the north/northeast. With freezing rain Saturday night and Sunday morning racing was postponed and then cancelled on Sunday. 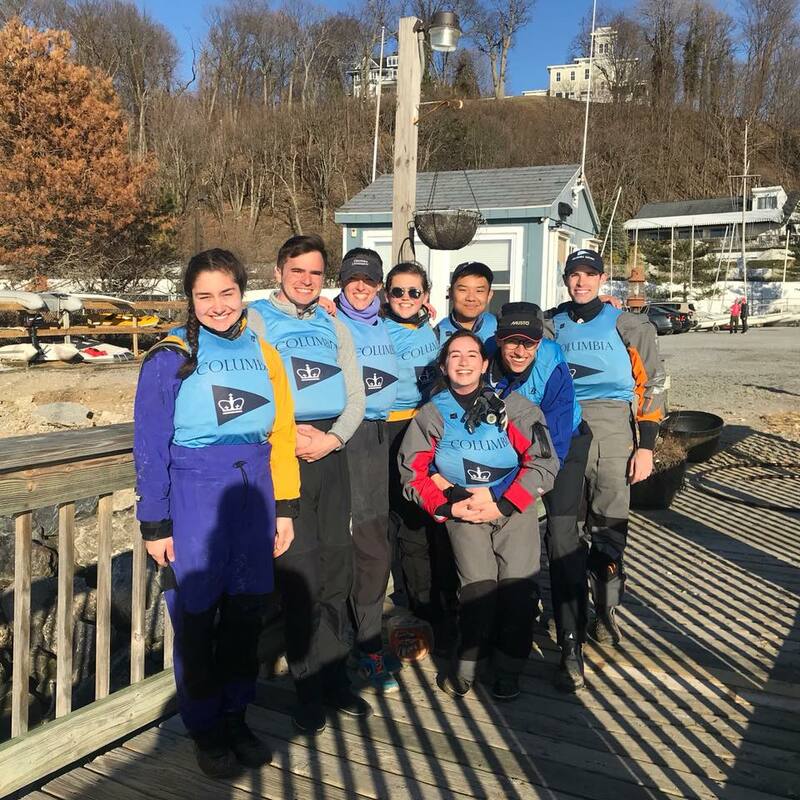 A Division, skipper Adam DeVita (CC ’18) and Bailey Fryer (SEAS ’18) finished in seventh while B Division Liliana Loosbrock (BC ’21) and Elizabeth Keeney (BC ’19) finished in fourth place. Thank you to alternate Charles Johnson (SEAS ’19) for supporting your teammates this weekend! With eight races in each division, Columbia finished the regatta in sixth place and has qualified for the America Trophy at St. Mary’s College, Maryland in two weeks. Congratulate our sailors and wish them good luck at upcoming MAISA Women’s and America Trophy qualifiers! 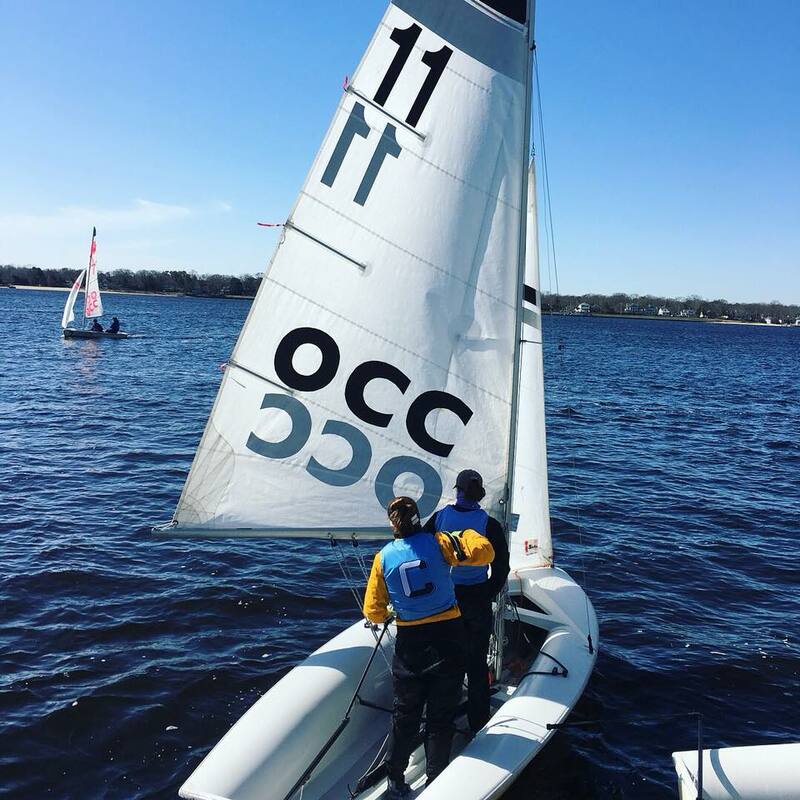 Sailors faced cold, shifty wind throughout the entire weekend at Ocean County College, sailing twelve races over two days. Skipper Adam Devita (CC '18) and crew Bailey Fryer (SEAS '18) sailed Division A with skipper Lily Loosbrock (BC '21) and crew Elizabeth Keeney (BC '19) sailing Division B. Despite challenging conditions, both divisions ended in the top five, Division A at 4th and Division B at 1st-- propelling CU to third overall! 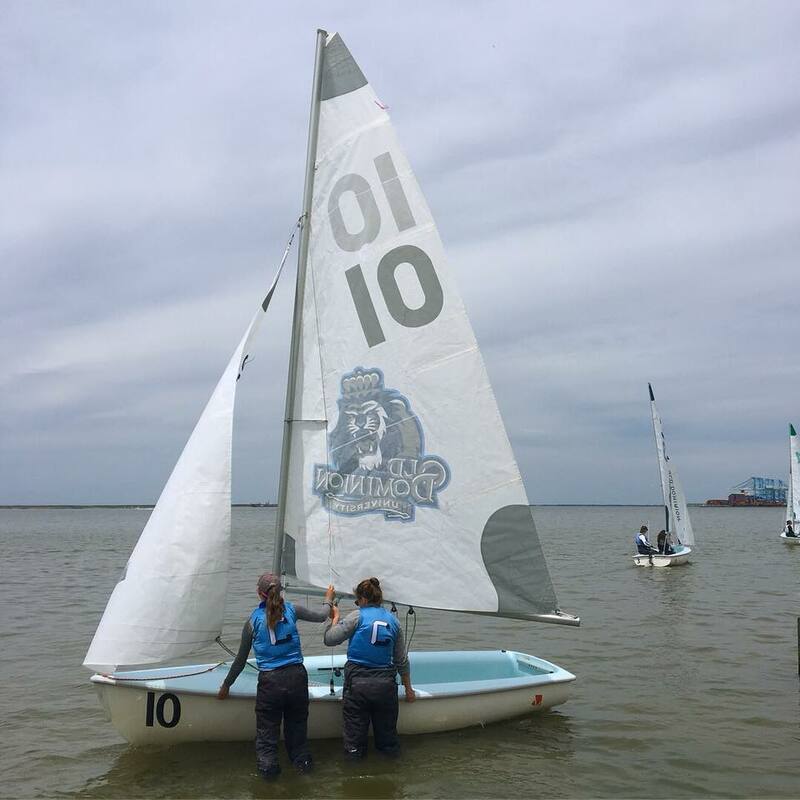 Follow our sailors' results every weekend on TechScore: http://scores.collegesailing.org/schools/columbia/ and wish them well as they represent Columbia! Light wind caused a few race postponements and abandonments in the morning at the Port Jefferson Yacht Club, but a gust from the southwest reaching 15 knots allowed the sailors to finish the day with six races total. 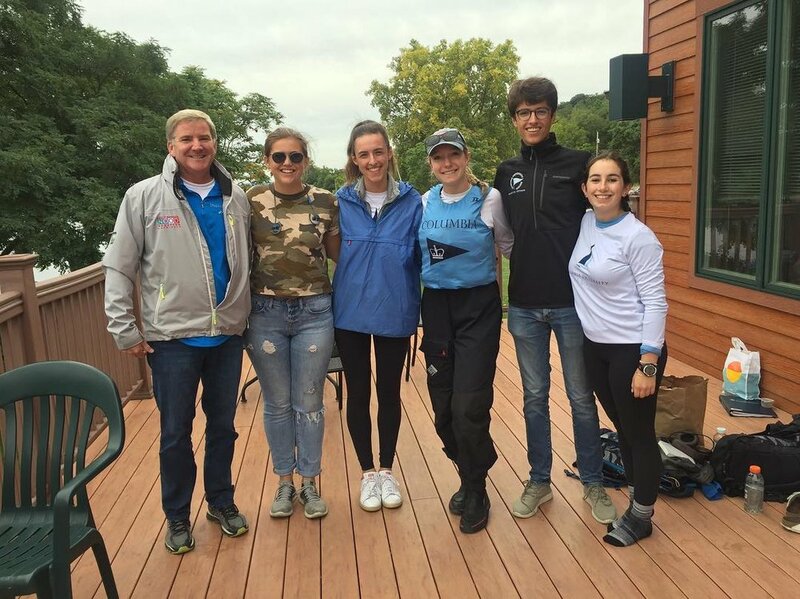 With an abundance of eager sailors at the regatta, Columbia raced two teams in each division, with Lions 1 taking third and sixth and Lions 2 taking fifth and third in Divisions A and B, respectively. Because of the Easter holidays the next day, the teams agreed to finish the regatta on Saturday, with Lions finishing the weekend at third place overall. Columbia Sailing competed that the Henry Luce regatta held at SUNY Maritime’s venue on the East River, a quick ride from our venue of City Island. Adam DeVita, Elizabeth Keeney, Calvin Tong, Bailey Fryer, and Nicholas Houchois competed in the weekend’s qualifying event. Given a combination of the strong currents, shifty breeze, and competitive teams, conditions throughout the weekend were certainly difficult. However, Columbia getting accustomed to the difficult conditions throughout the weekend put up a good fight, and placed 9th out of 18 boats, just short of qualifying for the upcoming War Regatta. Thank you Coach Conor Cashel for the great advice and encouragement throughout the weekend!